The Smash 7.0 is the top of the crop in the Brunswck table tennis lineup. 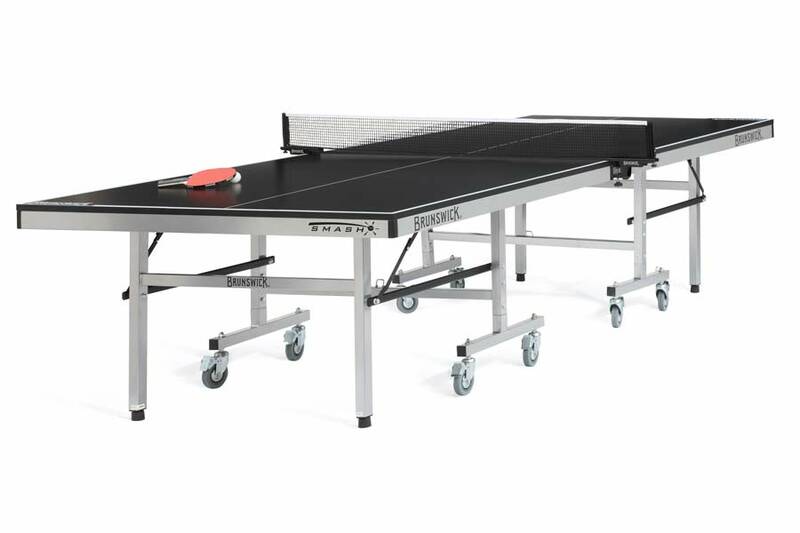 Impressive stability and great play make this table perfect for anyone. Smash 7.0 features classic black play surface, nets and net clips with a sturdy 25mm-thick playing field for every loop, flip and (of course) smash you make. A strong undercarriage ensures exceptional strength and stability, while the easy fold-up system makes moving and storage quick and convenient. The Brunswick Smash 7.0 is truly a force to be reckoned with, and the ideal table for any age and level of play.